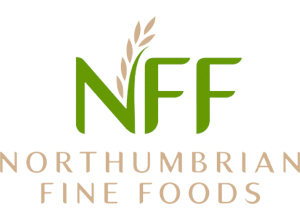 Northumbrian Fine Foods, along with our partner companies in the Biscuit International Group, will be exhibiting at the forthcoming Free From Functional Food Expo in Barcelona (28 and 29 May). Our presence will have even extra excitement this year through the attendance of well-known food blogger Becky Excell, who says she just loves our Free From biscuits and will be blogging live from the event promoting our great range. Our emphasis at the Expo will be on the wonderful flavour of our delicious Free From biscuits and snacks, and how we believe they taste even better than the traditional alternatives. Indeed, so confident are we in this assertion that visitors to our stand will be invited to participate in our great ‘Free From Taste Challenge’ by sampling a selection of our biscuits and snacks. Prewett’s will be exhibiting on stand F42 at the Free From Functional Food Expo. Prewett’s Mini’s Cheese Biscuits have been selected as a finalist at the forthcoming FreeFrom Food Awards 2019 in the ‘Savoury Snacks and Crackers’ category. Available as five mini bags within a larger 125g bag, these delicious savoury baked mini-biscuits are loaded with cheese flavour and are ideal as a lunchbox treat or ‘on-the-go’ snack. The FreeFrom Food Awards are the UK’s only industry awards exclusively for free-from food, with the aim of encouraging innovation and celebrating excellence in the free-from food industry. At last year’s event, Prewett’s scooped Silver in the ‘Export’ category for their Gorgeously Gluten Free Quadruple Chocolate Cookies. The awards presentation will take place on 20 March 2019 at the Royal College of Physicians in London. Logroño, 30 July 2018 – Biscuit International, one of Europe’s leading players in the private label sweet biscuit market owning Poult in France, Banketgroep in the Netherlands, A&W in Germany and NFF in the UK, announces today the acquisition of Arluy, the fifth largest producer and distributor of sweet biscuits in Spain. Founded in 1988, Arluy is a family company based in the Rioja region which has experienced strong growth in recent years. The company is now the fifth largest manufacturer of sweet biscuits in Spain, with an annual turnover of more than 40 million euros in 2017. Like other Biscuit International companies, Arluy supplies both own-brand biscuits and private label biscuits to its customers, who include key retail chains (70% of sales). The acquisition of Arluy is a new step in Biscuit International’s development strategy which consists of expanding its product offering and geographical footprint both through external and organic growth. This announcement follows the acquisitions of A&W Feinbackwaren in Germany and NFF in the UK. With this new operation, Biscuit International reinforces its position as a major player in the European private label sweet biscuit market and establishes a solid position in Spain. Following this transaction, Biscuit International’s sales will represent more than 10% of the European private label sweet biscuit market, and Spain will become the Group’s fourth largest market after France, the Netherlands and Germany. Biscuit International expects to leverage on Arluy’s products range, the company’s production capabilities, Arluy’s partnership with leading distributors in the Iberian Peninsula and the expertise of its management team to seize growth opportunities in the Spanish sweet biscuit market. The Spanish sweet biscuit market is estimated at over 900 million euros according to IRI and is growing at 3% per year. The acquisition of Arluy will also enable Biscuit International to exploit cross-selling opportunities by offering Arluy’s private label and own-brand products to its European customers on the one hand, and its existing product range to local and national Spanish distributors on the other, in order to strengthen its partnership with them. Following this transaction, supported by the company’s shareholders and management, the Managing Director and Arluy’s Co-founder, Mr Arturo San Juan, will continue to be involved in the developement and the commercial management of the business, alongside Guillermo Flores, former CEO of United Coffee, who will assume the role of Managing Director of Arluy. Arturo San Juan will reinvest in the capital of Biscuit International. In this transaction, Biscuit International was advised by Oaklinks (financial advisor), Simmons & Simmons and Cleary Gottlieb Steen & Hamilton LLP (legal advisors). The Arluy management was advised by Cuatrocasas (legal advisor). Following the merger between Groupe Poult and Banketgroep in 2016 and the recent acquisition of A&W Feinbackwaren in Germany, NFF in United Kingdom and Stroopwafel & Co in Netherlands, Biscuit International became one of Europe’s leading private label biscuit players. The Group thus enlarged produces 130,000 tons of biscuits and waffles from 14 factories in Europe. Biscuit International generated pro forma sales of € 390 million over the last 12 months, of which approximately 60% outside France and employs 1,500 people. Biscuit International is owned by Qualium Investissement, a prominent player in the French private equity market with approximately EUR 1.2 billion of assets under management, and a limited number of French and international institutional investors together with the company’s management team. Based in the La Rioja region, Arluy was founded in 1988 by brothers Arturo and Javier San Juan, the third generation of biscuit-makers behind the previously family-owned company Marbú. With 200 employees, Arluy conducts 80% of its sales in Spain with the rest exported. 65% of the company’s products are own-brand and 35% are private label. Arluy’s main brands are Arluy, Reglero, Río Zahor and Flora (distribution), with a leading position in the Reglero market. In 2013, the company began an investment plan into a new and modern production plant. In the last 5 years, it has invested 20 million euros in this plan.